However, expanding at such a rapid pace has not been easy since the global price crash of 2014, which saw profits decrease and operating budgets slashed. The sum of these parts is a unique hurdle that LNG exporters must navigate: How to plow ahead with rapid expansion to remain competitive, while adhering to the stifled operating budgets they’ve been left with because of low prices globally. LNG facilities have unique integrity management needs due to their multiple equipment types of varying complexity, with some on land and some offshore. Implementing an AIM program can help these companies manage their OPEX more intelligently and avoid unnecessary repair or shutdown expenditures. This gives them more room in the CAPEX budget for expansion initiatives. With the right AIM program in place, users can leverage existing database configuration, apply lessons learned from existing history when creating an external condition monitoring program, and perform RBI on new equipment based on similar design, service and inspection/operating history. This will reduce operating costs by the assessment of risks, thus ensuring that the now limited inspection budget is efficiently utilized, while maintaining reliability and production volumes. When it comes to expanding liquefaction capacity, the challenge is to ensure that all relevant equipment information for the new facilities is identified and recorded. This is where many companies make costly mistakes, as many rely solely on a CMMS, (e.g. SAP, IBM, Maximo) to manage their assets. The problem with CMMS systems are that they have an inherent inflexibility to store different forms of data, conduct assessments, or schedule inspections other than fixed duration. Without these tools in place, companies are at significantly heightened risk of costly shutdowns or failure. This is where AIM is worth its weight in gold, as it enhances the proper integrity management of equipment. Another consideration for LNG facilities is the potential impacts of such rapid expansion. While previous regasification and LNG facilities typically had very low rates of internal corrosion, it is more likely that corrosion under insulation (CUI) or external stress corrosion cracking (SCC) may occur in the new equipment if shortcuts were made with coating and insulation. This makes proper management of assets – with specific attention to corrosion monitoring – vital. New LNG facilities include acid gas recovery equipment that will require close monitoring during operation to ensure they run per design, lest corrosion problems develop. Cryogenic service equipment presents many challenges for traditional inspection techniques. To put it simply, LNG facilities are low risk, high consequence facilities that are somewhat unique to manage, requiring an equally unique and diverse AIM program. Special focus is required to ensure that critical areas are identified and thoroughly inspected at appropriate intervals derived from RBI assessments. For this industry, there is no such thing as one size fits all. The equipment types are too diverse, the needs too varied, and the specific challenges too complex to simply select any AIM program and assume it will suffice. To ensure limited inspection budgets are efficiently utilized, with resources being focused on higher risk equipment – in turn improving reliability and production – it is essential to properly vet available AIM solutions for the features unique to LNG. 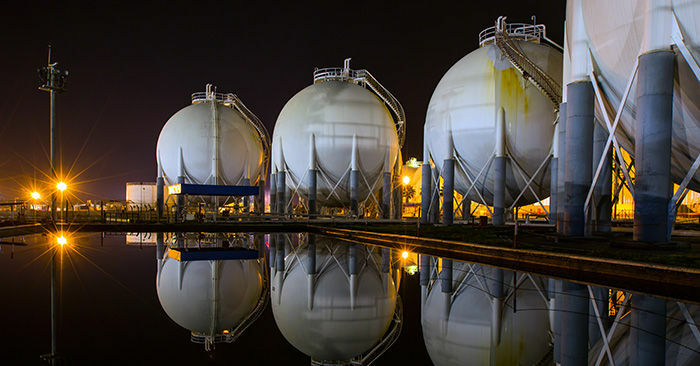 Metegrity is an industry leader in asset integrity management software with decades of experience managing some of the largest LNG facilities. Our suite of inspection data management software (IDMS) modules utilizes built-in RBI. Our flagship product, Visions Enterprise, manages AIM for the some of the largest LNG projects globally, including the world’s largest FPSOs. Our experts have decades of proven experience managing the unique needs of this industry. Visions currently protects over $550 billion in capital assets across 850 facilities worldwide.